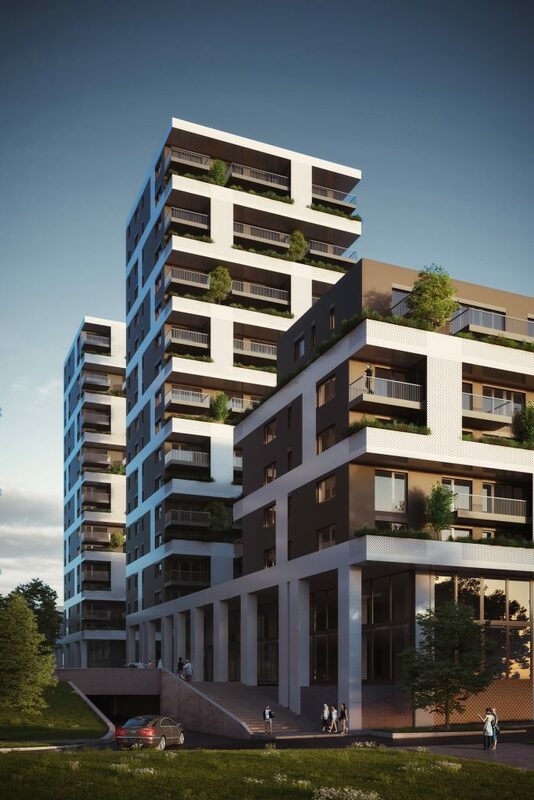 The Investor entrusted the Hajnal Architects with a 4-building, multifunctional (service, office and apartments) building design. 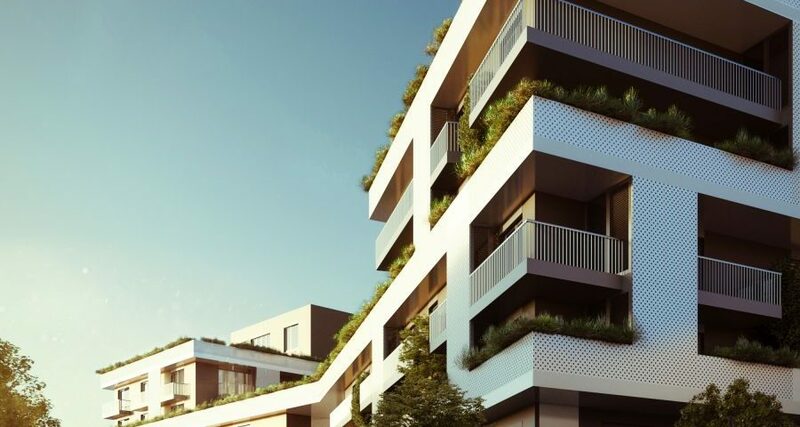 Zsolt Hajnal, a leading architect architect, has also involved 4n Architects to prepare the plans of ‘A’ and ‘D’ building. The architects of the two offices have worked out a close relationship preparing the building premission and construction plans, in close cooperation with each other. 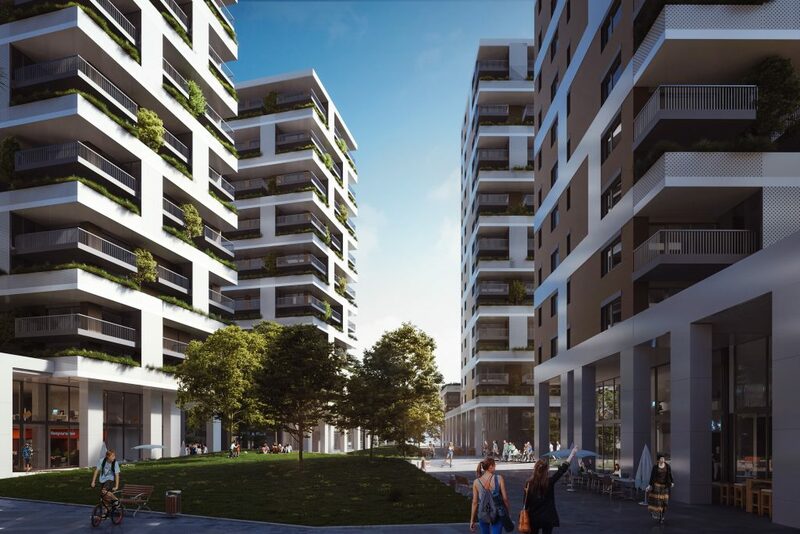 The building regulations of Újpest allow for the construction of a high-rise building on site. 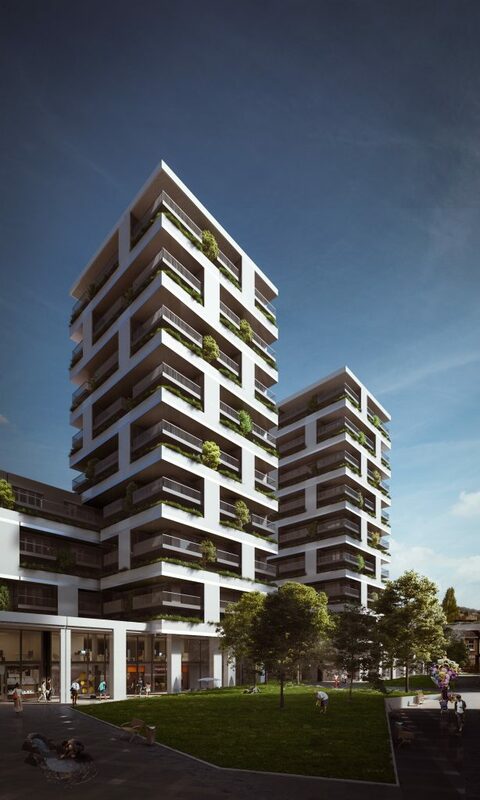 The aim was to develop the area, create a new urban space, and create high-quality apartments. The design intent was to create as many livable homes as possible, considering the the altitude regulations and the viable urban space. An important factor was to create the largest possible green surface. Considering the features of the site, the development of façade green areas was envisaged.